With all these new breweries and booze distilleries popping up around the country, it's time to pay homage to the older, more established breweries and liquor companies who, despite having their metaphorical lawns crowded with whippersnappers, keep doing what they're doing and staying cool. Some of these brands have been going for 1,000 years or more and endured some crazy stuff -- including having burned down a combined 100 times or so -- so give them some respect! They're almost assuredly your elders (assuming you are not an immortal). Here are the crazy stories behind 8 of the world's oldest booze brands. 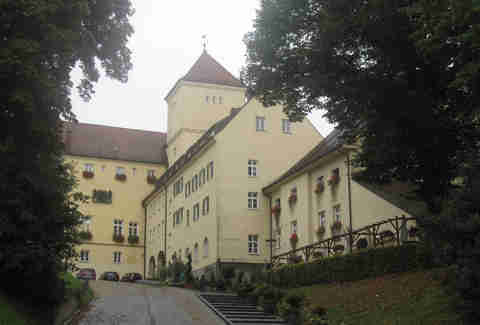 The abbey that originally housed this legendary Bavarian brewery was founded back in 725... BY A SAINT. How many other booze producers can claim that (besides George Clooney’s winery)? 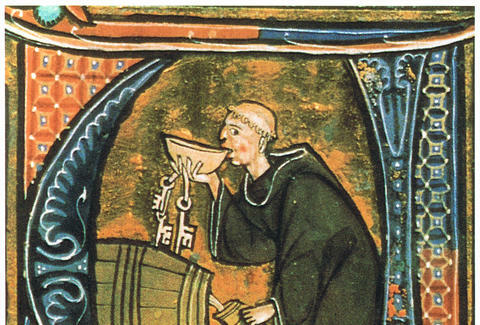 Since the monks there got their official license to brew and sell beer in 1040, the abbey burned down four times, was decimated by plagues and earthquakes, and still kept rebuilding itself in order to brew beer. And, y'know, to do monk stuff. The Sudo family from Obara, Japan has been brewing sake for over 870 years, and they’ve been in charge of the Sudohonke company FOR THAT ENTIRE TIME. Keeping their family business open for that amount of time must have been difficult, especially since most people now don’t even want their dad’s hand-me-down cologne. According to the Sudo family history, they were “originally... members of the warrior class,” which is probably a pick-up line your dad also used to try out back in the day. The world's oldest licensed whiskey comes straight outta Ireland -- King James I gave Sir Thomas Phillips permission to start distilling in 1608. Since then, the brewery burned down once, got some serious literary cred when it was mentioned by James Joyce in Ulysses (granted, there aren't many people who have the patience to corroborate this), and was used as lodging for soldiers during World War II. We imagine that those soldiers were probably pretty bummed that production had to stop so they could stay there. 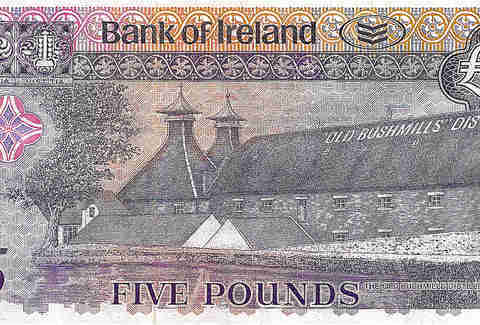 In 2008, the Irish government celebrated the distillery's 400-year anniversary with commemorative bank notes. No biggie. 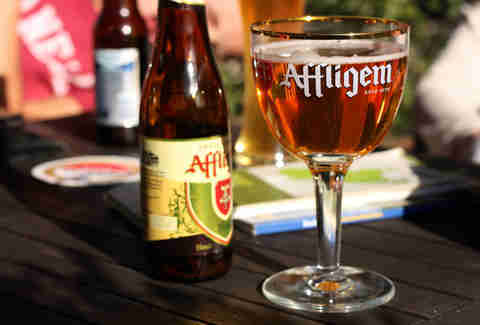 Affligem started as a bunch of knights who loved to help people (in the form of growing hops and brewing beer), and then those knights founded an abbey and became monks -- always a solid move. However, the abbey's strategic location caused it to be invaded, destroyed, restored, eventually burned down by William of Orange, and restored yet again... before being shut down by the monarchy prior to the French Revolution. Fortunately, two stalwart monks outlasted all that stuff and returned to the site to found the abbey/brewery. Just let these guys brew beer! Yeesh. 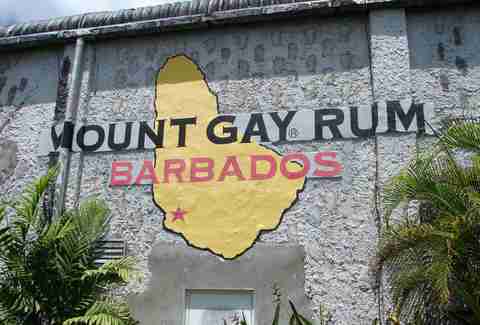 Although Mount Gay’s original operation was started by a guy named John Sober (dude was in the wrooooong business), it was when Sir John Gay Alleyne took over that the rum distillery really began to take off. Barbadians had already been producing rum -- which they called Kill-Devil -- for quite some time using the island’s bountiful sugarcane, and, with Sir John’s help, they exported rum all over the developing world -- most notably to colonial America, where it was the unofficial drink of choice of pretty much every Founding Father. What we now know as Buffalo Trace started as two brothers making whiskey on a spot next to the Kentucky River in 1773. It didn’t have a name back then, nor was bourbon whiskey even a thing... and Kentucky wasn’t officially a state yet... but dammit, Hancock and Willis Lee wanted some booze. Their distilling efforts eventually went kaput in 1776, but were restarted several more times under several different names, eventually settling on Buffalo Trace in 1999, thus finally legitimizing the Lee brothers’ quest for whiskey. 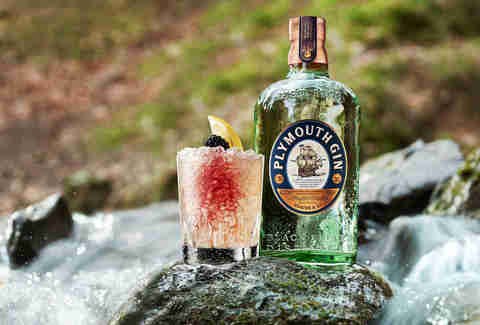 Continuing a long-standing tradition of using repurposed religious buildings as booze factories, the Plymouth Gin Distillery (also known as the Black Friars Distillery) was established in a former Dominican monastery in Plymouth, England in 1793 with the goal of supplying "Navy-strength" gin and juice to sailors on the high seas in order to prevent scurvy. The Mayflower, visible on the label of all Plymouth Gin bottles, actually set sail from Plymouth's harbor in 1620, and the Pilgrim Fathers may have actually stayed at the monastery on the night prior to their departure. Unfortunately, they would later go on to really, really enjoy rum. Claiming to be the world’s oldest family of liquor brands, Bols was founded by the eponymous family in 1575, although their distillery was originally named “'t Lootsje”, or “the little shed.” Of course, they soon grew too big for their britches (people wore those back then) after their cumin and cardamom spirits grew in popularity, and, when Luca Bols took the reins in the 17th century, he turned the distillery into a world-class institution with a larger distillery. Now, they produce Galliano, Vaccari, and their own line of products... including yogurt liqueur. Bottoms up! Adam Lapetina is the partnerships editor at Thrillist, and hopes that Bols' yogurt liqueur doesn't date back to 1575. Read his musings at @adamlapetina.